Innermedia > Latest News > Digital Marketing > Have Google Made PPC More Expensive? One of the biggest pieces of digital marketing news this week is Google’s format change – namely, removing ads on the right-hand side of search results. This change also means that they’ve added one more ads to the top section of search results for high volume/competition search terms. 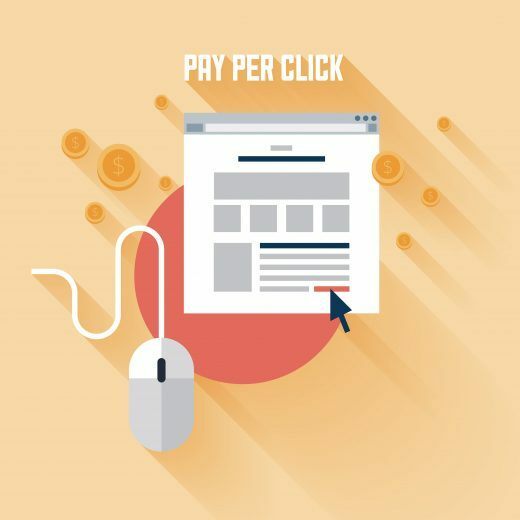 So what does that mean for your PPC? We’ve always advised clients to compete for the top 3 positions in PPC since their click through rate is 14x higher than on the right-hand side. We’ve seen that ads lower down than 4th position had difficulty spending their entire daily budget and therefore struggled to get the results clients wanted. The new format means you’ll actually receive more accurate average position reporting. When there were 11 potential ads per page, the average was usually below the most frequent position you appeared in (because of how means work in comparison to modes). Reducing the number of available ads means that these figures will be less diluted and you can get a much more accurate idea of what’s happening with your ads and where they actually appear. With fewer positions on the front page and the same number of advertisers competing for them, bids may go up. Brands who want to maintain a good impression share and stay on the top banner will need to up their bids to maintain their position, and have a serious look at what they can do to improve their Quality Score to remain competitive. However, another consideration is that there is actually an additional ad in the most competitive part of the PPC landscape, so that could reduce the amount you need to bid to keep this position. The only thing marketers can agree on is that we need to wait to get more data after this change. The additional ads and the shopping section of Google search results will push natural search results below the fold for the most competitive search queries. This means that your SEO will have to work harder to maintain positions for these queries too. It’s important to remember that only the most competitive terms will see a real impact in terms of how many organic search results appear above the fold. While users are used to scrolling (especially when it comes to mobile search results), it does mean you have slightly reduced search visibility for these terms. Brands can combat this in a number of ways; working on more long-tail keywords to pick up conversions from people further down the funnel, reducing attrition on the site, working to improve bounce rates to make the most of traffic already on the site, and of course diversifying the type of PPC so that products appear in the shopping section as well as the ads. At the moment, brands and marketers are waiting to see what the impact of this change will be and how much their own industry will be affected. For a lot of small businesses, this change won’t have a huge impact (especially if they have a great niche) but this is a crucial time to keep an eye on both PPC performance and SEO appearance to see whether your business will need to take a second look at its strategy.